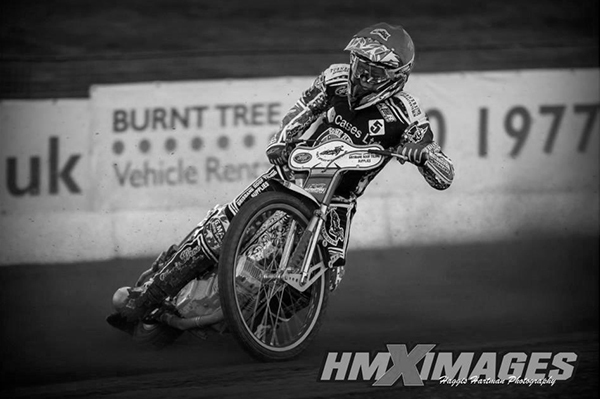 Aussie 'Golden Boy' Nick Morris tearing it up and raking in the silverware at National, Premier, and Elite levels in the UK. Young Australian Nick Morris has enjoyed an astounding amount of success since he appeared on the UK scene three years ago. Since 2010 he has helped rake in not one, but at least three pieces of league-racing silverware at National, Premier, and Elite League levels! His taste for a trophy or two first began back home in Australia. It's no wonder clubs across Britain are tripping over each other to sign him every year... Success seems to follow him wherever he goes! Young Morris always has had a taste for motorcycles. Having acquired his first speedway bike courtesy of his father at the tender age of a10, it wasn't long before he was learning how to master the art of sliding it sideways as a junior rider. "I always wanted to ride motorbikes when I was little. My dad was a massive speedway fan in his younger days... he still is to be honest. He was the one who really got me into the sport., he bought me my first bike and I started racing junior speedway not long after that. To be honest though, I hadn't really given much thought as to where I was going with speedway as a career; at the time I was just there to ride and have fun. I always thought I'd like to be a professional rider some day, but I didn't know if or how it would happen." But puzzling over a future career in speedway didn't appear to distract him in the slightest during his maiden year of individual title pursuits. In 2009, the highly-rated 15-year-old Morris batted off some stiff competition to lift the coveted title of Queensland Under-16 Champion. It was no fluke that the young Aussie walked away with the spoils that day, for the same year saw him claim runners-up spot in the Australian Under-16 Championship. Quite a feat... beginner's luck some might say. But one year later not only did Morris successfully defend his Queensland title, he expanded his trophy cabinet to include the New South Wales Under-16 Championship as well. "It was awesome winning those titles. Really, I didn't think anyone was even watching the senior meetings but it was a brilliant feeling all the same. It was around that time that there was a lot of talk about me coming to England actually, and things kind of went from there." Sure enough, the young Aussie's exploits hadn't gone unnoticed, and in 2010 he was awarded his UK debut by National League side Buxton in the high peaks. Leaving home for the first time can be a daunting prospect for anyone, but flying halfway around the world to pursue your dream? Morris took it all in his stride! "I never really found a problem when I first came over. I made sure during my first year that I was living with Josh Grajczonek so that was good, the taught me everything I needed to know about life over here; plus it's always good to be living with a friend, it made things a lot easier." Buxton really does get down to the grass roots of speedway in our country, quite literally. The tiny little track in the beautiful Derbyshire countryside seems to have a habit of attracting some of the most promising new talent through its gates, taking them in as raw, unpolished rookies before finally unleashing them as some of the most honed and exceptionally gifted riders in the country. To follow Nick Morris' race events, please visit www.nickmorrisracing.com/news.